Photographic / Video Evidence Needs to be Relevant and Outweigh any Unfair Prejudice to the Opposing Party - В сложной финансовой ситуации приходит на помощь кредит наличными в Казахстане. During trial, a party may move to admit photographic evidence. The opposing party, however, may object based on either the relevancy of the evidence or, if relevant, that the probative value of the evidence is outweighed by the unfair prejudice to that party if the evidence is admitted. “The test for admissibility of photographic evidence is relevancy rather than necessity.” Pope. V. State, 679 So.2d 710, 713 (Fla. 1996) (photographs in murder trial were relevant to establish manner in which murder was committed and condition of crime scene). This same test applies to video evidence. See Zelaznik v. Isensee, 2014 WL 2596140 (Fla. 2d DCA 2014). However, not all relevant evidence is admissible. Florida Statute s. 90.403 provides in material part, “Relevant evidence is inadmissible if its probative value is substantially outweighed by the danger of unfair prejudice, confusion of issues, misleading the jury, or needless presentation of cumulative evidence.” Thus, if the relevant evidence is substantially outweighed by its prejudicial effect, a trial court may deem this evidence inadmissible. The trial court has broad discretion in determining the admissibility of relevant evidence. Zack v. State, 911 So.2d 1190, 1210 (Fla. 2005) (“A trial court has broad discretion in determining the relevance of evidence, and such a determination will not be disturbed [on appeal] absent an abuse of discretion.”). For instance, in Zelaznik, a video in a personal injury action was introduced into evidence showing portions of the injured plaintiff’s surgery. The defendant appealed that the trial court abused its discretion in admitting this video because the probative value of the video was outweighed by its unfair prejudice to the defendant since the video was unfairly graphic. (Before the video was shown to the jury, the trial court viewed the video and did not deem it unfairly prejudicial.) The video was introduced into evidence by the doctor that performed the surgery and the doctor testified the video would aid him in explaining the plaintiff’s surgery to the jury. The appellate court affirmed finding that there was nothing to support that the trial court abused its discretion by admitting the video. 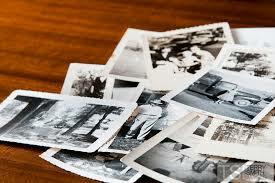 The introduction of photographic or video evidence is based on the relevancy of that evidence. Not all relevant evidence is admissible – the evidence needs to be balanced by whether it will cause unfair prejudice, confusion, is aimed to mislead the jury, or is needlessly cumulative. The trial court has discretion to determine whether the relevant evidence’s probative value is outweighed by the evidence’s prejudicial effect, misleading effect, confusing effect, or is needlessly cumulative. In introducing photographic or demonstrative-related evidence (or a demonstrative aid), it is important to have the witness testify that the evidence / aid will assist him/her in explaining an issue to the jury. The trial court’s discretion will not be disturbed on appeal absent an abuse of that discretion.